Container gardening is a great solution when gardening space is precious. The issue with container gardening is moisture retention. Moisture is quickly wicked out of the container by heat, sun and wind. Containers need frequent watering or the plants will quickly perish. The solution is Hugelkultur Container Gardening. Hugelkultur (Heeg-al kul-tur) is a gardening method that has been used in Germany and parts of Europe for many centuries. The method is piling dead, dry or rotten wood and covering it with compost, soil and mulch. The wood absorbs and retains moisture from snow, rain and watering then slowly releases it over time. The wood deteriorates and breaks down into organic matter while releasing nutrients into the soil. 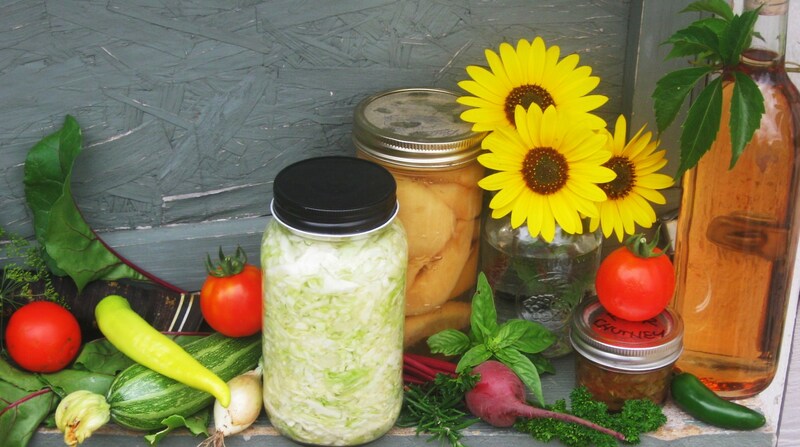 If gardening space is an issue, apply the same principles to Hugelkultur Container Gardening. Like a sponge, the hugelkultur bed within a container garden will retain moisture many times longer than a container with only soil. Longer periods between watering allow added freedom to get away for vacation. Hugelkultur container gardening is easy, simply fill 1/3 of your container with pieces of dry or rotten wood (2 inches in diameter or less). Next, add dry leaves, grass and/or compost, soil and mulch. Sow seeds, seedlings and established plants in the container. Water heavily for the first two weeks to saturate the hugelkultur bed within the container. You will soon notice remarkable plant growth even during hot and dry spells. 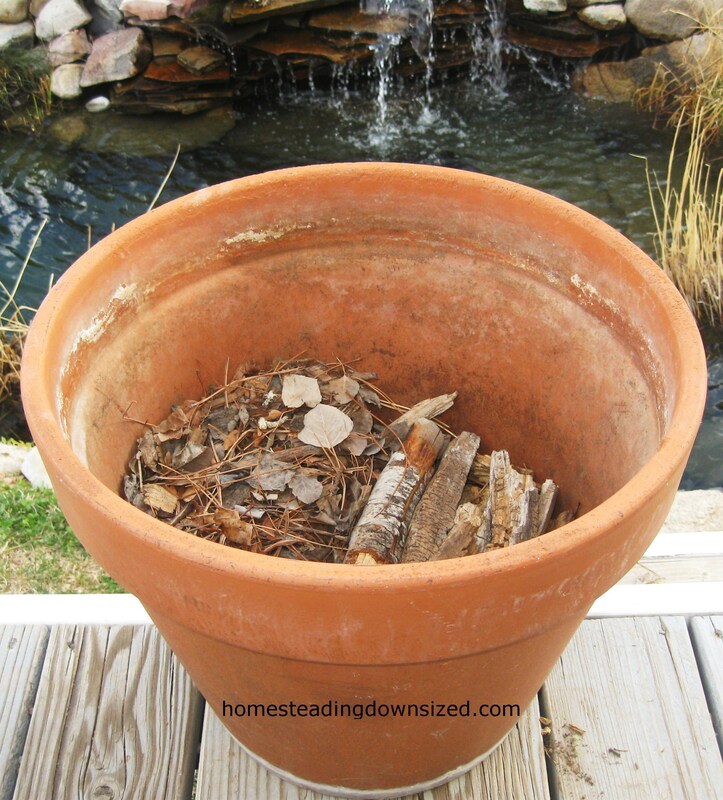 Take another simple and productive baby step with an inexpensive hugelkultur container garden. in our austrian garden we do this with whole garden-beds, it works great and as they are very high and have a wooden frame, my old mom doesn’t have to bend so deep to pick weeds. a great idea. I love your blog. have a great weekend! Thanks for sharing Marlies. I redid our raised beds and even dug up some berms and turned them into Hugelkultur beds. The older they get the better they get. I need them to retain the soil moisture on our arid and windy homestead. Please send me photos via facebook – when you get a chance. Thanks! As I have gotten older my ability to garden has changed- a major understatement. Containers on on old picnic table is what I call my vegetable garden these days. Thanks for sharing this wonderful idea. Container gardening is a great system. 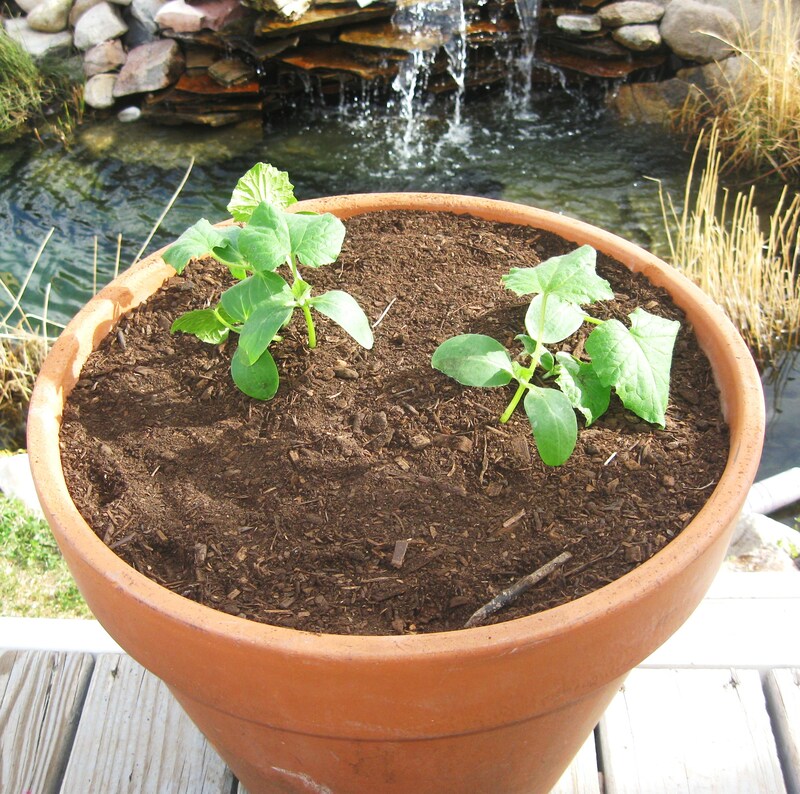 When you try Hugelkulture container gardening give the containers a head start by soaking the wood and organic matter with water before planting. Thanks for sharing! I LOVE this idea. Great way to experiment with a new method without having to do a whole bed and solves many of the biggest problems with container gardening. Genius. Thank you! Thanks for sharing .. . and thank our forefathers … this Hugelkultur method has been used in Europe for centuries. I believe it will become the future gardening trend.